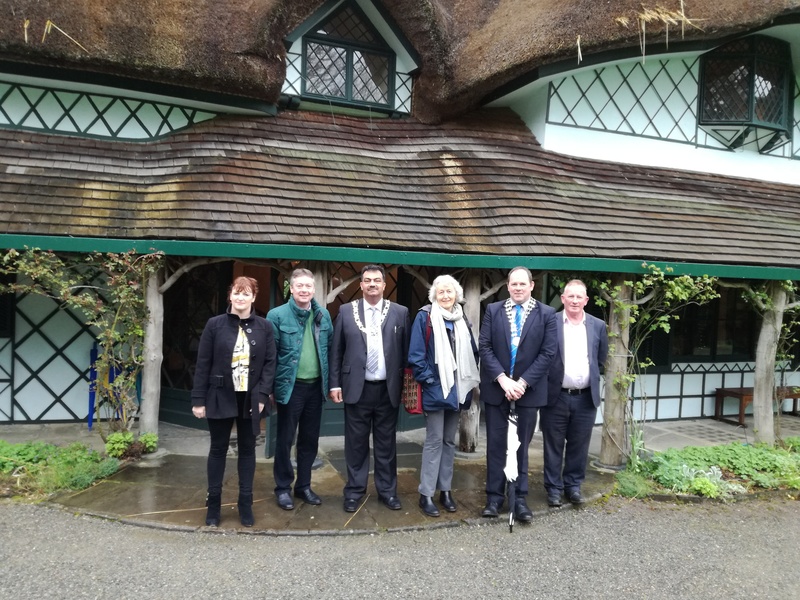 Pictured this morning at Swiss Cottage (l-r) Carol Creighton Clonmel Borough District, Paul Murray Clonmel Borough District, Mayor of Reading Cllr Muhammad Ayub, Former Mayor of Reading Cllr Bet Tickner, Mayor Andy Moloney and Seamus Conway, Tidy Towns. The Mayor of Reading Cllr Muhammad Ayub and former Mayor Cllr Bet Tickner were on a flying visit to Cahir on their way home to Reading. The Mayor was in Clonmel for St Patrick's weekend as a guest of the Bianconi Twinning Committee who are twinned with Reading.